Hostas are often considered the gardener’s number one choice of perennials for the shade. In fact, the hosta is now America’s best-selling perennial in nurseries and garden centers. Ornamental Grasses are featured focal points, used by gardeners to add punctuation and texture to their landscape. With their waving foliage and dramatic plumes, they add visual interest and movement to the garden. The development of new hosta varieties has exploded over the past few decades. Experts now estimate there are more than 7,200 varieties in existence. 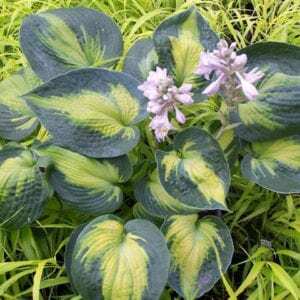 Hostas are available in all sizes, from mammoth large-leaf specimens, attaining a height of over 4 feet and a width of over 6 feet, to tiny miniatures less than 4 inches in height. There is a hosta to suit nearly every garden. Each year, we select several dozen of the most noteworthy varieties to offer to our customers. Our variety list, along with descriptions, can be found in our Catalog. 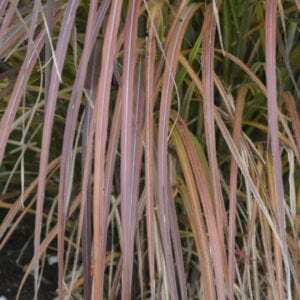 Ornamental Grasses are equally popular with home gardeners and landscape designers. They are frequently used in commercial plantings, due to their ease of culture and dramatic presence. Our customers love the fact that they can choose from among dozens of varieties, and get a preview of what the grasses look like in a garden setting. The Ornamental Grass Garden at Specialty Growers serves as a teaching tool, particularly from late summer through fall when the grasses are fully developed and showing off their beautiful foliage and flowering plumes. Check our Catalog for our 2019 offerings. You’ll find them listed under G, for Grasses. We organize all our grasses together in the Catalog, even though their genus names (scientific names such as Calamagrostis, Miscanthus and Panicum) begin with different letters. This makes it easy to peruse all of the grasses at a glance.